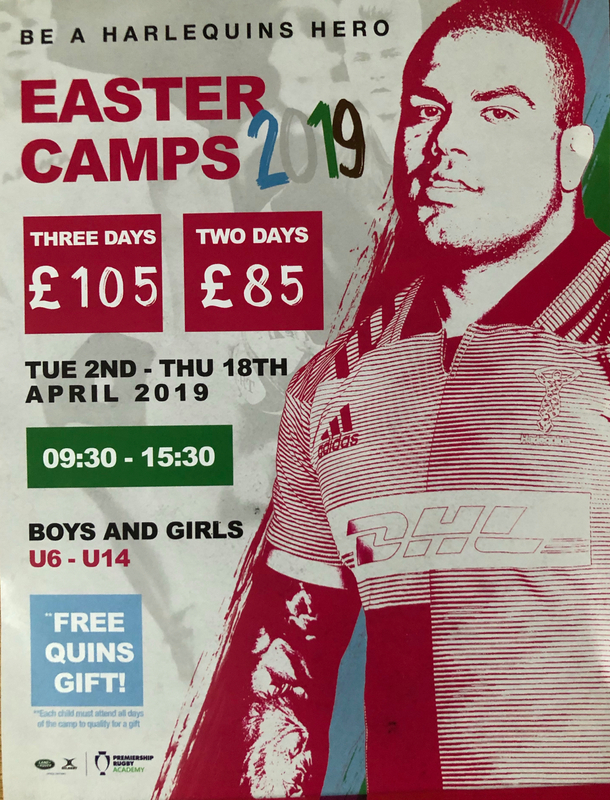 Harlequins will be running a two day Rugby Camp at the club during the Easter Holidays - 17th & 18th April - for boys & girls - 6-14 years. Sessions will focus on HANDLING, DESCISION MAKING, CONTACT, CONTINUITY, FINISHING, DEFENCE and FUN. All sessions are delivered with the same game-based approach which aids creativity, decision making, and player led coaching. The camps are delivered in a FUN and FRIENDLY environment which creates an INCLUSIVE and ENJOYABLE camp.